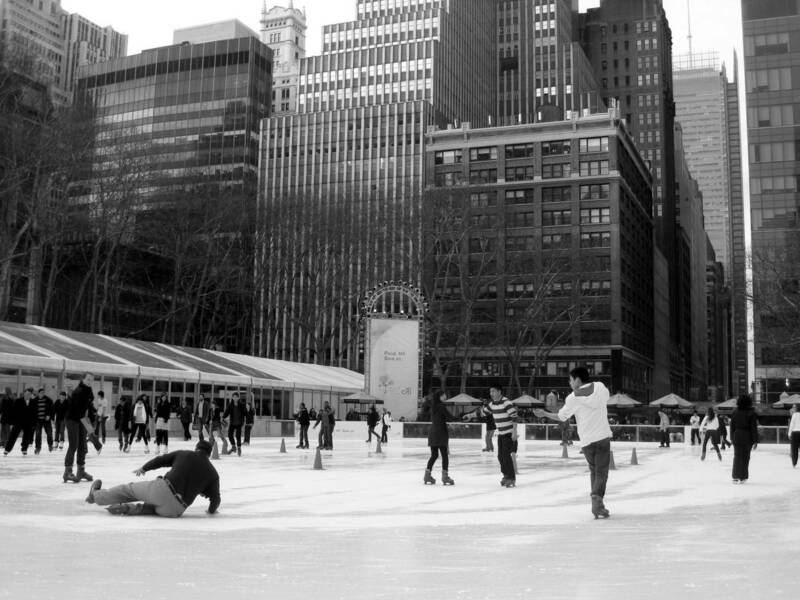 Bryant Park mentioned as inspiration for D.C. public space. Restaurant critic reviews dishes from the Bryant Park Grill on her blog. Engineer and ice rink consultant for The Pond, Tim Thiel, works on new rink at Fenway Park. Low cost and free cultural events in New York City.